After World War II, there was a high demand for homes in America for the many newly formed and growing families in our nation. The solution to this problem by most home developers was to quickly produce large tracts of duplicated housing. These homes were often cheap in materials, hurried in production and unoriginal in design. There was an exception to this, however. In Northern California there was a real-estate developer who had a radically different concept of what the mid-century tract home and neighborhood should provide, while still being affordable to the average American family. This developer’s name was Joseph Eicler, and his vision of standards, combined with his company, Eichler Homes, changed and shaped the face of houses in the Bay Area and residential American architecture forever. This will be a series of articles about these award-winning, period homes, known to most simply as ‘Eichlers’, so unique and recognizable is their design. Many of the features that make these houses uniquely Eichler cannot be reproduced in new construction today, due to materials and lot availability, and today’s coding and building regulations. These remaining, artistically beautiful homes, truly are, the last of their kind. 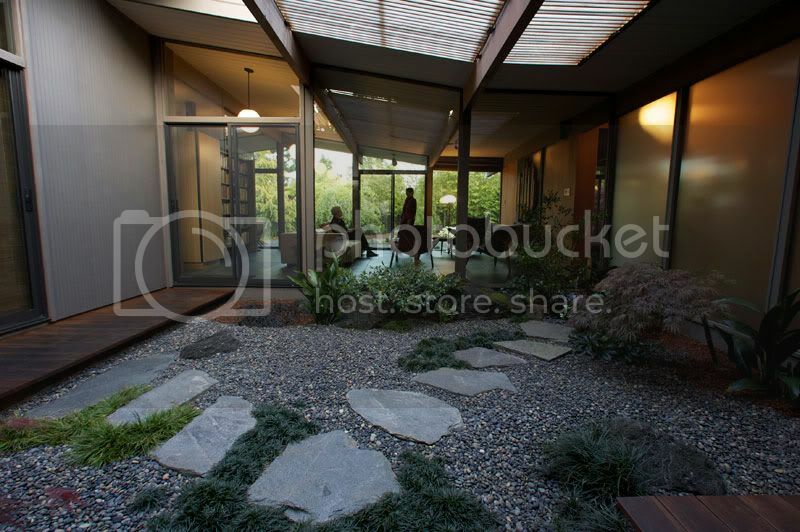 An exceptional Eichler home in Palo Alto, maintained in it’s original beauty by it’s sole owner, will be coming onto market and listed by Anne Arjani in mid-September.